Last year Lincoln managed to pull a major upset when they were awarded several North American Truck of the Year awards for the 2018 model. It’s notable because Lincoln is primarily known for luxurious sedans and SUVs as opposed to more utilitarian What about Fords, Chevys and Rams. Lincoln getting that prestige is like a famous skateboarder taking home a bike race trophy. Why is the New Lincoln Navigator a Winning SUV? You can pretty much say that Lincoln was the car company that created the whole large luxury SUV segment. That was back when they made the original Navigator SUV in 1997. In other words you could argue that all this praise is overdue. 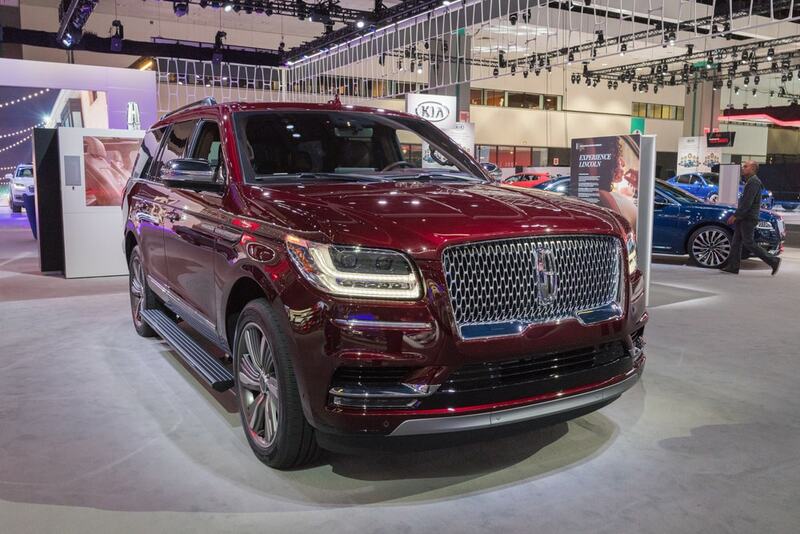 Starting at $73,250, Lincoln’s gargantuan truck/SUV manages to outshine the market-dominating Cadillac Escalade in almost every way, starting with exterior styling. It’s almost as conservative looking as you’d come to expect from Lincoln but that also keeps it timeless and classic. On the inside it’s easy to imagine the blue and whitewashed wood interior feeling right at home on a luxury boat. 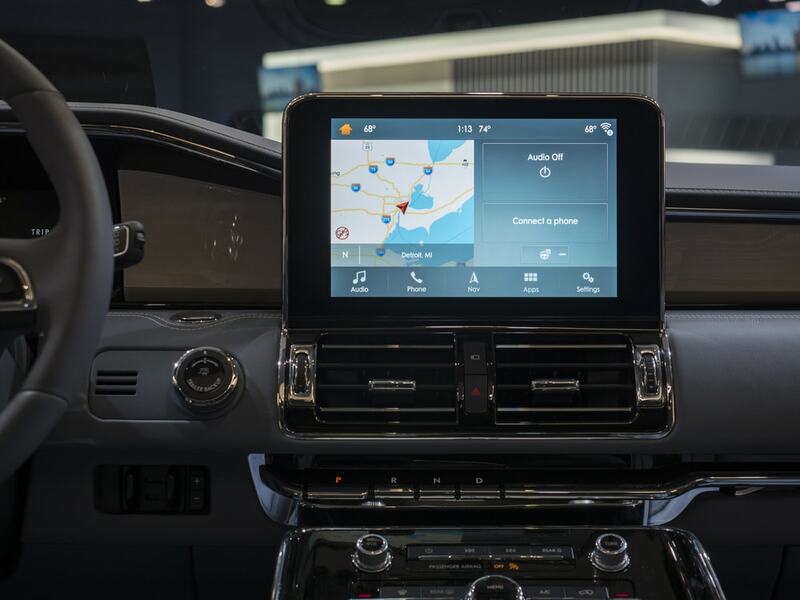 However it’s the impressively designed controls and classical That sort of thing used to be the main reason to buy a pickup truck-based luxury SUV like the Navigator, rather than a sedan or crossover, but this one shines on its own against all comers at its $73,250 starting price. Most important, it outdoes the Cadillac Escalade in pretty much every way. Exterior styling is a subject for this car that is up for debate. While we think it outdoes the Escalade, it still looks remarkably like that car. So it might be a little to flashy looking for drivers who want a more refined sense of class. The secret for the new Lincoln Navigator is just how drivable it is whether you’re behind the wheel or merely along for the ride. That’s in part due to the independent rear suspension. The cars in direct competition with the Navigator are the Escalade, the Infiniti QX80 and Lexus LX570. None of those cars have independent rear suspension. Coupled with computer-controlled dampers, all sense of motion in the large vehicle is kept in check. It’s an exceptionally smooth ride and that’s what makes it fun. No matter the terrain, it will be like you’re gliding in the air. You also get to set the SUV to several different drive modes in order to adjust how firm you want your suspension so the car never gets stiff. There’s the “Excite” mode that is called “Sport” in other vehicles with similar systems and that mode allows you to take full control of the 450 hp twin-turbocharged V8 under the hood with a 10-speed automatic transmission. That’s a powertrain that can compete with the high-performance F-150 Raptor pickup and it also packs a strong 510 lb-ft of torque that can tow up to 8,300-pound loads. If you really hit that gas pedal on the new navigator you can hear the performance. It is loud but in a good way if you roll your windows down. Otherwise the interior filters out the external noises quite well. Inside the main sounds you should be hearing are from t the 20-speaker Revel Ultima sound system. You didn’t misread that: 20 speakers. Your music will sound phenomenal. The Navigator is a really technology-heavy truck, if you didn’t guess. The adaptive cruise control works together with a lane-assist system that helps you navigate through really long trips. If you’re in for the long haul the Navigation even has a trailer backup assist system in order to assist you with the more difficult parts of towing. That means you have a 360-degree bird’s-eye camera. 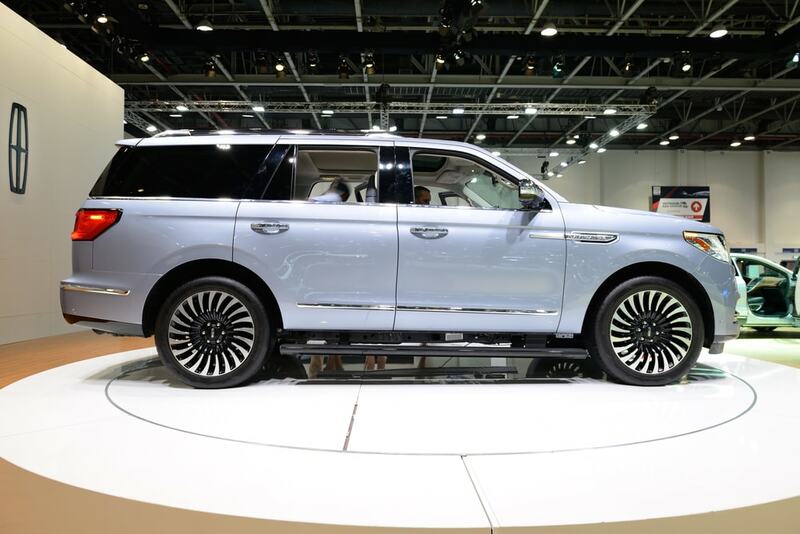 All in All the Lincoln Navigator is a return of the Gargantuan Luxury SUV. It was amazing to be able to get inside of inside of these at the auto show and even at its asking price, it’s a really tempting offer.